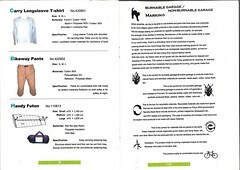 Making goods to live and travel with bicycle. For people who got habit to ride bicycle, not to separate on and off the bike, making cycling goods for places, ages, styles, in any situations accepted and blends in. What we care most is the wind. Not cutting, but with wind. Not resisting, but to ride wind. Giving heart to make products with less air resistance, less dragging. Also, there is lot other more that might be needed for your cycling. 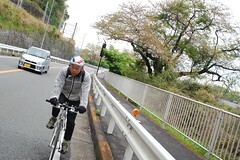 rin project is a bicycle touring casual brand founded by Yamada, our president. In 1980’s, Yamada was working in fashion industry. Working together with many Japanese fashion designers giving their best in worldwide, especially in France. The role of Yamada, or our company Chat Noir was to design and actually manufacture bags and accessories for the designers brand. Not just design, but realizing them was his job mainly. Yamada got in car accident. From that day, he quit driving his car, which he did 3 times a day, and he completely switched his transportation using bicycle. While Yamada was riding his bicycle every single day, he started to think realizing things he wanted while he was riding. Using his experiences and connections in manufacturing industry, he first made prototype for himself. 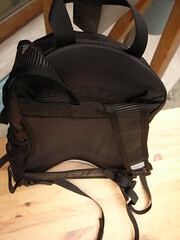 That is the “Stretch cycle pants”, and “Bike way pack“ for more than a decade. Yamada was proud of what he made, exhibited these stuffs in “Cycle Show” in Tokyo, as a brand “Burnable garbage, Non-burnable garbage”. 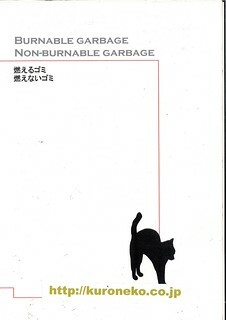 The first brand name, “Burnable garbage, Non-burnable garbage” came from the concept written below. This catalog was made to exhibit in Koln Show, which was the biggest bicycle business show in Europe on those days. It says like this. After this show in Europe, brand was re-named into “rin project”. 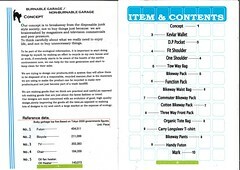 Well, he finally came to the point that as a apparel brand, it might not be proper to use the term “burnable garbage”. This year, he re-design the casque, which is still our high end product. 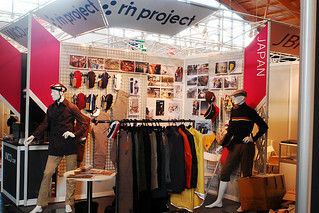 The brand name “rin project”. “rin” ＝”輪” has triple meaning in Japanese. 3) The sound “ring”, made by bells of bicycle. These three meanings, curiously, it all represent Bicycle itself. If in doubt, ask any, we mean any Japanese speakers and they would say yes. 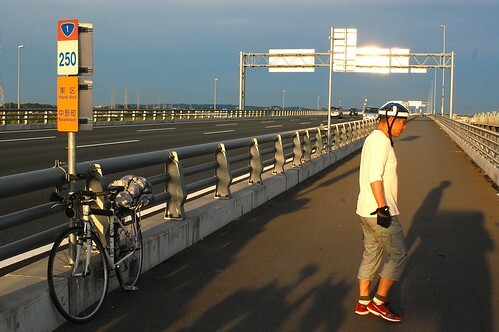 On these days, sports bicycle has became a social movement in Japan. Even though Japan had huge numbers of transportation bicycle = “Mama chari (mom’s bike)” culture, fast & light sports bikes were new to the people. 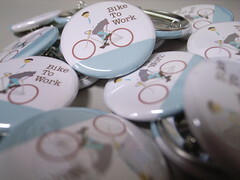 Started participating “Bike to Work” action in Tokyo. Being a part of organizing NPO, tried to attract people to ride their bike to their work, school. rin project started to focus on bike travel. Started 3 days bike tours as “Study Occasion”. 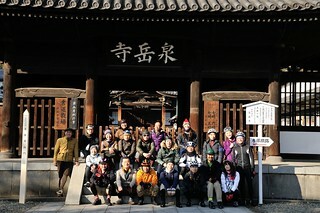 Tokyo - Kyoto bike trip, following the ancient road made 400 years ago, to go worshipping at Ise Shrine. Introduced our products in Eurobike show. Little customers from London, Stockholm, Zurich had given us a chance to sell our product in Europe. 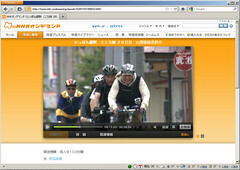 NHK ( Nation owned TV Station) show started use our casque. Lot of viewers noticed our products by that, mainly mature ages. Who needs to have non-lycra style, everyday ride styles which could ride, live, enjoy. 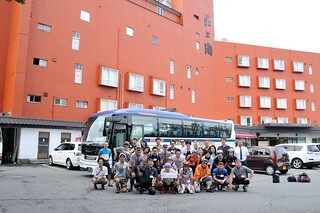 Our study 3 day touring has become 5 times a year ride. Started only by couple staff, growing numbers by our costumers who want to join. Visited place which still had the nail marks from Tsunami disaster, knowing what the real things. Bike travels is our main focus. Let people, non speed people ride further, by very useful tool to have freedom, bicycle. Sweating a lot for better shower experience, get more hunger to eat more, let our body fell asleep as it demands. 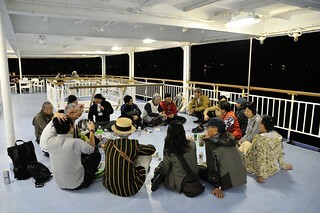 Now, place we go, is all about Japan’s charm. Where even Japanese can’t realize it’s charm. Re-realizing what it has, finding why name of the place is name as it is. Fun of knowing. Respect the moment which connect the past and presence in one’s head. 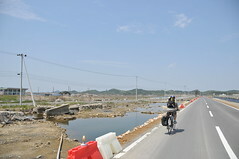 That is our bike trip is all about, and that is why rin project is here for. Check our our recent touring & our products here. We want you to come and join us.